That 2008 would be a tumultuous year for Formula One became clear even before the sport bade farewell to 2007, one of the most acrimonious seasons in the 58-year history of the world championship. Not only had McLaren been found guilty of spying and stripped of all their constructors' points, but they also faced the threat of having their MP4-23 banned before it even turned a wheel. In February, McLaren were given the all-clear - but not before the team had settled a record $100m fine. Ferrari later 'forgave' McLaren, but still, who would have thought that in August - less than a year after being convicted - Ron Dennis, the Anglo-German outfit's CEO, would stroll through Ferrari's factory gates to be received by Luca di Montezemolo? Or, even more significantly, that Dennis would propose the Ferrari president for the equivalent position within the newly-formed Formula One Teams' Association? In fact, who would have thought the two greatest rivals in the history of the sport could ever be on speaking terms, or that by the end of the sporting year Ferrari would threaten to withdraw from a sport it had competed in since the first championship season? It was the founding of FOTA that, more than any other 2008 event, defined the year - and the significance of this trade union of teams will be felt for many years to come. Yes, FOTA got off to a slow and faltering start and, equally surely, faces many challenges in the years ahead, but the mere fact that the body exists at all points to frustrations within the teams that are obviously greater than their instinctive distrust of each other. These frustrations had their roots in the demise of the Concorde Agreement at the end of 2007, and the subsequent failure of the sport to agree new terms and conditions for its future. Gone in one swoop, for example, was the need for unanimous agreement when it came to rule changes; gone, too, was the (semi) stability offered to (most of) the parties under the tripartite covenant. 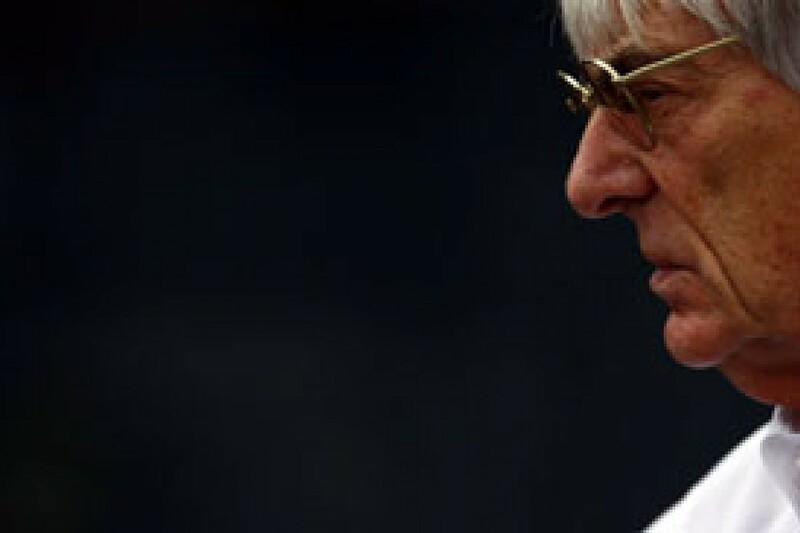 Confusingly, while Bernie Ecclestone, the de facto ringmaster of the sport, spoke regularly of a to-be-signed Concorde Agreement, one team boss spoke of having signed the agreement, while another stated that "we thought we had" with a further party speaking of "getting close to signing, probably by the end of the year." The bottom line is that an agreement like the one that ruled the sport for 25 years, which bound all players together for a determinate period of time before being renewed, is unlikely to come into force any time soon because such a contract would reduce the powers of the sport's controlling body, the FIA. In terms of the (revised) conditions of entry into Formula One, the teams are bound to accept the regulations as framed by the FIA, even if these are chopped and changed - as they have been of late. So, where Concorde provided the teams with recourse to arbitration and legal channels, under the FIA regulations governing the sport from 2008 onwards, the governing body is the ultimate arbiter. Hence the very real threat posed to the teams by suggestions of specification engines - should these come to pass - and there is as of now no guarantee that they will not be introduced in the near future, despite the teams agreeing to substantially reduce engine costs - then the teams would have no choice but to fit in or opt out. Uncertainty, too, has surrounded the distribution of the sport's income stream in 2008: where Concorde determined the split of F1's revenues (even if the split heavily favoured Ecclestone's companies by a ratio of 77:23), this column was given three different answers when discussing the matter with team principals this year. So, have the teams thus been remunerated for their participation? And if so, on what basis? Those were the questions to three team principals. "Yes, we have been paid in accordance with the MOU," said one, the boss of an independent outfit. "We wish," said another, while a third, also team principal of a manufacturer team, said, "No, but according to our accountants the money is safe and drawing interest." A few years, the outstanding balance 'due' - if that is indeed the correct term under the circumstances - would have resulted in the bankruptcy of more than a few teams, and it was this financial dependency that enabled the 'Max and Bernie Show' to exercise its control over the sport. But the game has changed and they are finding it increasingly difficult to divide and rule corporate suits whose holding companies have access to substantially larger cash reserves than the independents of old. For starters, in the unlikely event that Force India's Vijay Mallya and Dietrich Mateschitz, owner of Red Bull and their two teams, find themselves behind Ecclestone in the financial stakes, it would hardly be by much more than a million or so, while the 79-year-old's family fortune is small beer when compared to the muscle of BMW, FIAT/Ferrari, Honda, Mercedes, Renault and Toyota - even in these straitened times. But even if they cannot be bought, the teams surely know the value of a dollar, and the absence - even if temporary - of Concorde has endowed them with bargaining power. For in the absence of specified obligations, they can hold out for better deals, and it is this renewed muscle that is said to have led to the shrunken calendar F1 faces next year. Simply put, the teams refused to accept any increase over the 17 races specified in the expired agreement unless substantial compensation was paid for any races over and above that number. Where a Ken Tyrrell or Eddie Jordan would happily have travelled to, say, Canada for a few dollars more, the accountants sitting in ivory towers in Munich or Stuttgart or wherever are demanding their pound for every kilo (gram and metre) flown. So, until (if) Concorde is agreed, the calendar seems set to remain at 1997 levels. The setting of F1's calendar was one of the bones of contention between Mosley and Ecclestone when things between them got (or were perceived to be, for it is unlikely the full truth will ever be known) bumpy in the wake of the invasion of Mosley's privacy, and it is remarkable how quiet matters have gone on that front. Ditto Mosley's call in June for the teams to be paid 75 per cent of revenues rather than the 50 per cent outlined above. FOTA, though, is believed to have picked up this ball and is pushing for an increase (strange this, considering that the 50 per cent deal has not been formalised, or because of? ), and is pushing equally hard for the sport to double its revenues off its present $1bn annual turnover. At least it enjoys the full support of Bernie in that respect. One of the saddest off-track developments was the demise of Super Aguri, not least because every single member of the tiny team was committed to its survival, but in the final analysis the team was fated to die simply because it was operating off an unsustainable business model. Not even a concession to run customer chassis and leased engines would have saved Aguri, which should sound a warning to those who believe Prodrive were dealt a bad hand. KERS, too, caused much controversy, with Toyota - by far the world's largest manufacturer of hybrid production cars - admitting in Brazil that it would not be running with the energy recovery system for at least the first half of 2009. Now that the dam has burst, further teams, including Ferrari and Williams, are expected to similarly announce delays. No review of 2008 can be complete without a word about the sport's stewarding. While Chairman of the Stewards Allan Donnelly, who additionally acts as Mosley's representative at races the FIA president chooses not to attend, stated recently he had 'read so much rubbish about the decisions taken by the stewards this year', World Motor Sport Council members obviously read different publications, for next year stewards will be required to provide reasons for their decisions. "I believe the founding of FOTA was a significant step, which will lead to better future co-operation between the teams, the commercial rights holder and the regulatory body. I am very pleased about this co-operation, because in the long run it is bound to lead to less politics in F1." In which case the sport was the overall winner - and how long is it since that was last said?